The IBM® Cloud Orchestrator Content Pack for UrbanCode® Deploy allows you to deploy instances from the IBM Cloud Orchestrator Self-Service Catalog by using the IBM UrbanCode blueprint or IBM Cloud Orchestrator Heat templates. 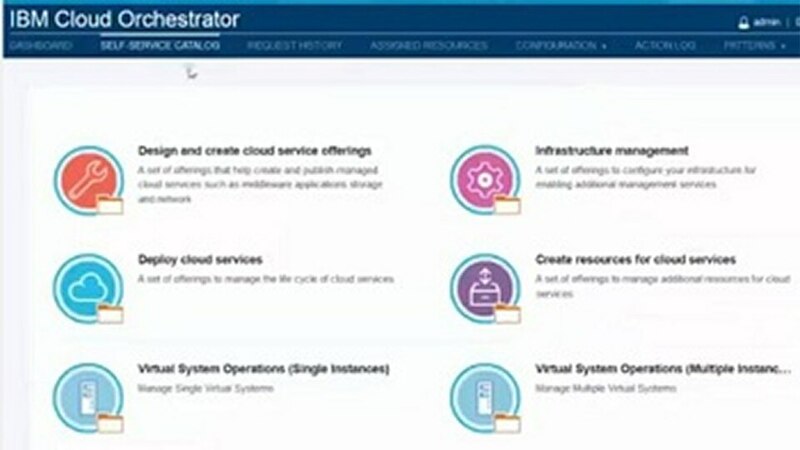 The deployed instances are visible in the IBM Cloud Orchestrator standard HEAT/VM resource view for lifecycle modification actions and application deployment. Use an IBM UrbanCode Deploy environment to deploy patterns, templates and applications and related processes, environments and snapshots already defined in the environment. Register/Unregister a uDeploy host, bind authorization token, run an application process and deploy heat templates. Use the Deploy Blueprint offering of your IBM Cloud Orchestrator environment to deploy blueprints onto cloud servers that are configured on the IBM UrbanCode Deploy server. Use the Deploy Heat Template UI page to select and deploy IBM Cloud Orchestrator Heat templates from the available sources.